Can this drive bring network storage to the masses? Network attached storage (NAS) drives used to require the skills of network administrators to get them up and running. Thankfully, those dark days are behind us. 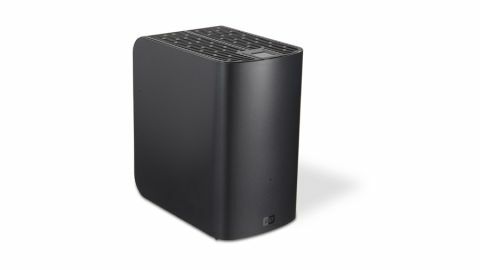 NAS drives such as Western Digital's My Book Live Duo still take a little getting used to, but can be set up with no advanced networking knowledge required. My Book Live Duo is ideal for media streaming. It's UPnP, and can stream to any DLNA-compliant device such as a games console, TV or media player. Our smart TV picked it up without difficulty. You can also access your media through iOS or Android mobile devices using downloadable apps. It's easy to do, and puts your media right in your hand. There's an iTunes server for music streaming, but due to changes in the way iTunes works, it can't stream movies to recent versions. After signing up for a WD 2go account, you can access your files over the internet. The drive's two 2TB drives are pre-configured as a spanned volume, but you can reformat in a mirrored array if you wish, halving the storage space but protecting your data against drive failure. It's Time Machine and FTP compatible too. Managing the drive through its browser interface is reasonably straightforward, but one or two features could be more intuitive. Creating volumes to share with other users is a little cumbersome, especially if you want to give them internet access, and it can be a little sluggish at times. Even so, it strikes a good overall balance between ease of use and flexibility of features.